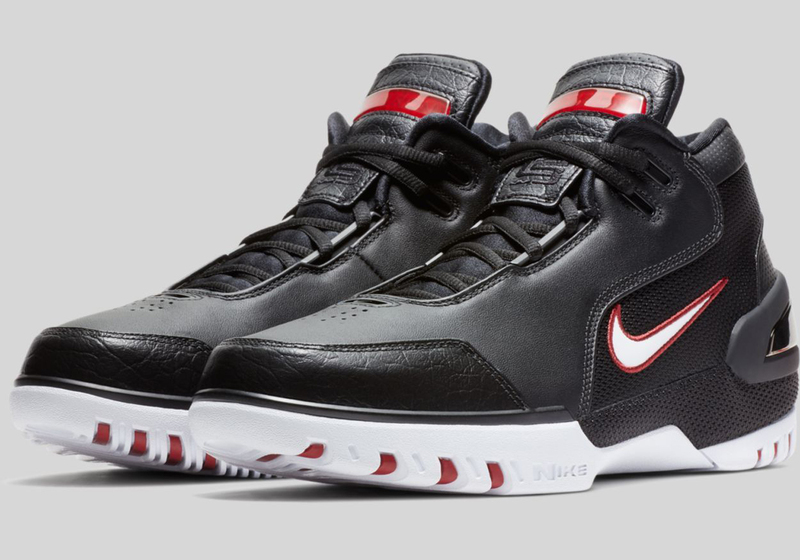 Rumored to drop this December, the highly-anticipated return of Lebron James' first signature shoe would be this black/crimson colorway. Black leather for the most part with nylon panels can be seen here. Red hits can be seen on the tongue as well as the outline of the swoosh logo on the side. The outsole is composed of a red and white solid rubber. While this is sure to be a quick strike, this colorway is very easy to pair with whatever you want to pair it. However, I am not exactly sure if they are gonna put a Zoom Air unit in the midsole. If they are going to make it the same as the OG, then my friends, this will definitely catch more heat since you can rock this both on and off court.